Your motorhome is your home away from home. It’s the vehicle that can take you to far-flung destinations, without the need to book a hotel! Because of this, you need the right insurance for your motorhome and we can help you get it. With only a few clicks, we can get you a quote from a panel of specialist motorhome insurance providers. Each one can offer you a tailored quote for your vehicle. If you treasure your motorhome, make sure it’s fully insured today. Simply click the button below and quickly get a quote. Owning a motorhome can be a liberating experience; it’s much like when you own your first car and the world suddenly becomes your oyster. In your motorhome, you can travel wherever you want – but without the right motorhome insurance for it, you won’t be going anywhere! Like any specialist type of vehicle, motorhomes have their own particular type of insurance policy. These are very different from your standard private car policies, because motorhomes are anything but standard. The unique nature of a motorhome requires unique insurance, and we’re here to help you understand it all. Each of these professionally built motorhomes could be covered by insurance providers under a motorhome policy. If they are self-built though, then an insurer might not be able to cover them. For these types of vehicles, you would need self-build motorhome insurance. Some insurers even offer specialist American RV policies, which are more bespoke then a motorhome insurance policy. Check with your provider if this is something they can offer you. Once you know that motorhome insurance is something that you’ll need, it’s then time to understand the types of cover available to you. What types of motorhome insurance are there? Third Party Only – Third party only (TPO) is the very minimum level of insurance cover required by law. This is the most basic of insurance, as it only protects other road users in the event of a collision that you have caused. There is no cover for any accidental damage to your motorhome, and there are no additional benefits with TPO cover. Third Party, Fire & Theft – A step up from TPO cover, third party, fire and theft (TPFT) will cover you if your motorhome is stolen or if it is damaged accidentally. So, if your motorhome is damaged by fire, or as a result of a theft, you’ll be covered under a TPFT policy. Comprehensive – With fully comprehensive insurance, your motorhome will be covered for all types of collisions; even those that you’re responsible for. Comprehensive insurance can also provide other benefits, such as: windscreen cover, personal effects cover and medical costs. European Cover – Many motorhome drivers love to take their vehicle abroad. If you’re one of them, then European cover is absolutely essential. Motorhome insurance can include cover in Europe as part of the policy, but this might only be basic cover. For fully comprehensive cover abroad, you should check with your provider. Breakdown Cover – You can also include breakdown assistance on a motorhome insurance policy for an additional cost. A green card is needed for proof of insurance in some European countries. Check with your insurer before travelling and they will send you one in the post. Equipment Cover – It’s very possible you might be travelling with various ‘non-fixed’ items in your motorhome; televisions or camping and kitchen equipment for example. Some insurers will offer you the benefit of covering all this equipment under your motorhome insurance policy. Audio Equipment Cover- In addition to equipment cover, you can also get cover for ‘fixed’ items in your motorhome (any audio, visual or navigation equipment). 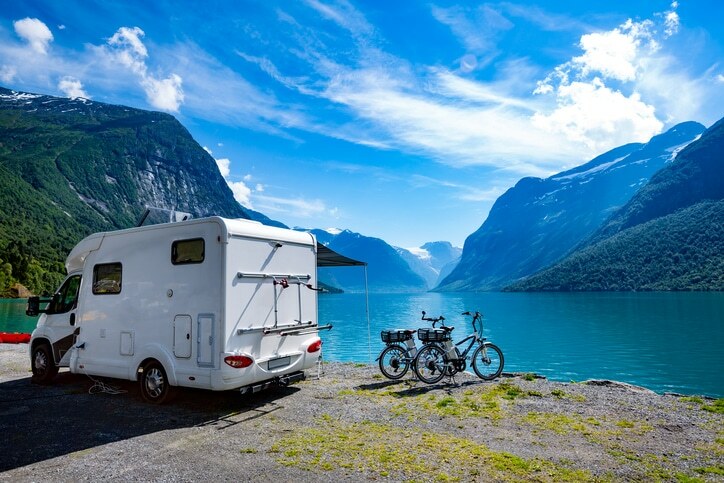 Contents Cover – As your motorhome is your on-the-road home, you might want to consider insuring contents in the vehicle – things like mobile phones or laptops. But it’s worth remembering that these items may already be covered on your other insurance policies, such as home or travel insurance. Check before you purchase cover, as there’s no need to take out insurance twice! Motorhome Exclusions – These may vary from insurer to insurer, but there are some common exclusions you’ll find. For example, an insurer is unlikely to cover your motorhome if you’re using it as a permanent place of residence. A motorhome insurance policy is not a home insurance policy! Motorhome Club Memberships – There are plenty of motorhome enthusiast clubs out there and joining them could prove beneficial when taking out insurance. Some insurers will offer you discounts if you have a membership to such clubs. Shopping Around – It might be easy to stay with one insurer at renewal, but it might not be cheaper. It’s always worth your while to find comparable quotes online and see if other insurers can offer you better deals. Security – Of course you’ll be keeping your motorhome secure, just like you would your own house. And insurers recogonise this, as some providers will offer discounts for well-secured motorhomes and if you’re using particular security devices. No Claims Bonus – If your insurer allows you to build NCB whilst driving a motorhome, then this is great news. Because if you’re a safe driver, you could be rewarded with discounts for your claim-free history. Pay Annually, Not Monthly – If it’s possible for you to do so, try paying for your policy premium up-front. Paying monthly for your motorhome insurance could be more costly with direct debit charges. Always keep all the windows closed and any keys out of sight in your motorhome. If you treat it as if you would your own home, you can avert potential thefts. Rather than phoning around to get motorhome insurance quotes, why not get them online today? Simply click the button below to get quotes from a panel of insurance experts.